It’s been a rather light week around the Atlantic 10, but that doesn’t mean it lacked excitement! Duquesne pulled off yet another come from behind victory, this time shocking Rhode Island at home. Richmond pulled the rug out from under Saint Louis, picking up a shocking road win. La Salle and GW both picked up home wins against fellow conference standings doormats and Dayton also kept pace with a home victory over Saint Joseph’s. This game features teams tied in the A-10 standings at 6-2, and one will gain a significant advantage moving forward after today. The Flyers enter having won three of their last four contests, losing only to first place George Mason during that stretch. They’ve been rather consistent, but I believe have fallen off of people’s radar again. Duquesne pulled off a miracle win over URI this week, and enter having won six of their last seven games, falling only to VCU during that span. Say what you will about the Dukes, their average margin of decision (including both wins and loses) is just 3.9 points throughout all eight A-10 games they’ve played so far. To be 6-2 with that stat is quite remarkable. If that’s any indication, this should be one heck of a game! This is an interesting game to me, as both teams are coming off rather brutal losses from this week. Rhode Island blew a 19-point lead at Duquesne, while Saint Louis put forth a rather uninspiring performance at home against Richmond. Sitting a 5-3 in the A-10 and having lost three straight games, Saint Louis is likely finished in their hopes of an at-large bid. Their only likely path now is to help themselves the rest of the way through conference play, and storm through Brooklyn. This is a very tough road matchup for the Billikens, and this is do or die time for them. As for the Rams, sure, Wednesday night was a really tough loss, but this team still has quite a lot of talent. I’m not quite sure what to expect from this game, but regardless, grab the popcorn! It’s a busy week ahead around the Atlantic 10. Tuesday will feature a double-header of La Salle hosting cross-town rival Saint Joseph’s followed by Saint Louis hosting Dayton. Wednesday features a five-game slate, headlined by Davidson hosting Rhode Island. 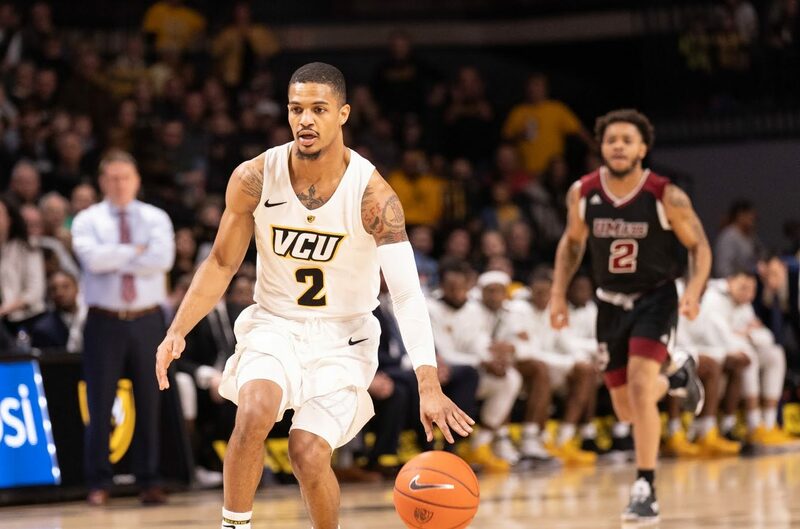 Additionally, George Mason will travel to Richmond, GW will host VCU, Duquesne will host St. Bonaventure and Fordham will travel to face UMass. Finally, in prime-time on Friday night, Saint Joseph’s will host Saint Louis.